It has been a busy year for AMD, with multiple major launches across the CPU and GPU spaces. After being as good as dormant for several years, AMD took the high-performance and mainstream desktop PC markets by storm in the first half of 2017 with its Ryzen 7 (Review) and Ryzen 5 (Review) desktop processors. With twice the number of cores as Intel's offerings, and by not restricting major features to only the highest-end models, AMD was able to pull the carpet right out from under Intel's feet in a significant number of tests. As if that wasn't enough, AMD also tossed its ultra-high-end Ryzen Threadripper CPUs with up to 16 cores into the mix just because it could. Enthusiasts haven't had it this good, with this much choice, in a really long time. But there's also the value-oriented end of the market, where people can't allocate more than Rs. 10,000 of their budget to just a CPU. These are the chips that go into the majority of computers for ordinary, everyday people - at offices, in homes, in schools, and everywhere that people have to make do with the amount of performance they can afford. This is the target market for AMD's Ryzen 3 processors, the most affordable of its new lineup. 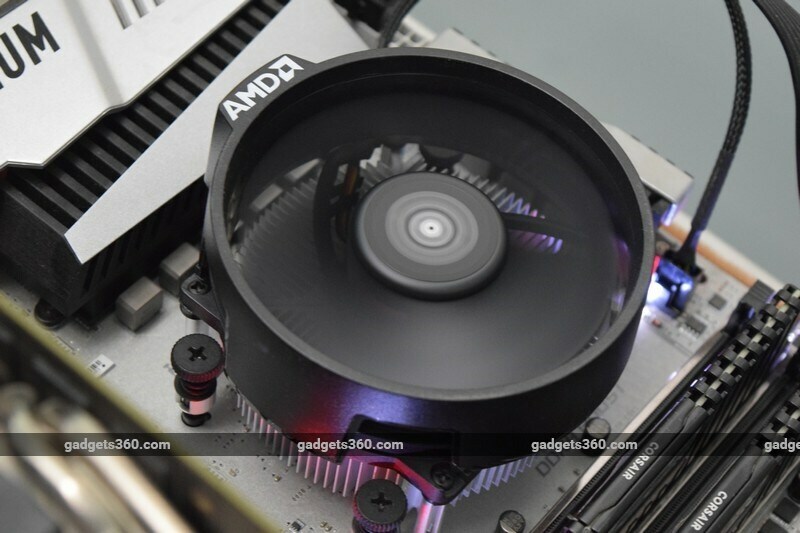 It sounds like the perfect space for AMD to use exactly the same formula in - offer buyers more cores and better multitasking without compromising on features or connectivity, and they should flock to you. Ryzen 3 processors do in fact have four cores where Intel's Core i3 models have only two - but there's a catch. AMD hasn't yet shipped Ryzen chips with integrated graphics, so you have to spend more on a discrete graphics card. This is something that could raise the overall cost of a PC considerably, negating all the benefits of the CPU. We're going to test both models, the Ryzen 3 1200 and the Ryzen 3 1300X, to see whether AMD can shake up the budget market and take the value crown back from Intel. AMD's Zen architecture, which underpins all Ryzen, Threadripper, and Epyc CPUs, has a number of interesting features. You can read about them in detail in our guide to everything you need to know about Ryzen, but here's a quick recap. AMD's new chips are all based on a scalable interconnect called Infinity Fabric. This allows rapid communication between cores and groups of cores, as well as with the outside world. It has hundreds of embedded sensors that allow these chips to determine how fast they should run based on the current workload, temperature, and voltage - and this can be adjusted in realtime, that too in finer increments than before. AMD has designed what it calls Core Complexes, which are groups of four cores and their associated caches. Each chip has two of these - Ryzen 7 CPUs have all eight cores enabled, while Ryzen 5 have either six or four active cores depending on their model numbers. Ryzen 3 models will also have four active cores, the main difference being a lack of multithreading. This means that you get four cores and four threads, as opposed to 4C/8T. That matches Intel's current Core i5 models and should be quite a bit better than the 2C/4T arrangement on current Core i3 models - though Intel is now readying similar quad-core, non-Hyper-Threaded Core i3 models for its 8th Gen Core family. Ryzen 3 CPUs also have 8MB of L3 cache memory, not the full 16MB that all Ryzen 7 and most Ryzen 5 models are allowed to use. Four cores is the sweet spot that a lot of game developers are now targeting, and it's realistically what people should be aiming for if they use their PCs for anything more than basic Web browsing and word processing. AMD knows that this is Intel's weakness at the low end and is exploiting it fully. 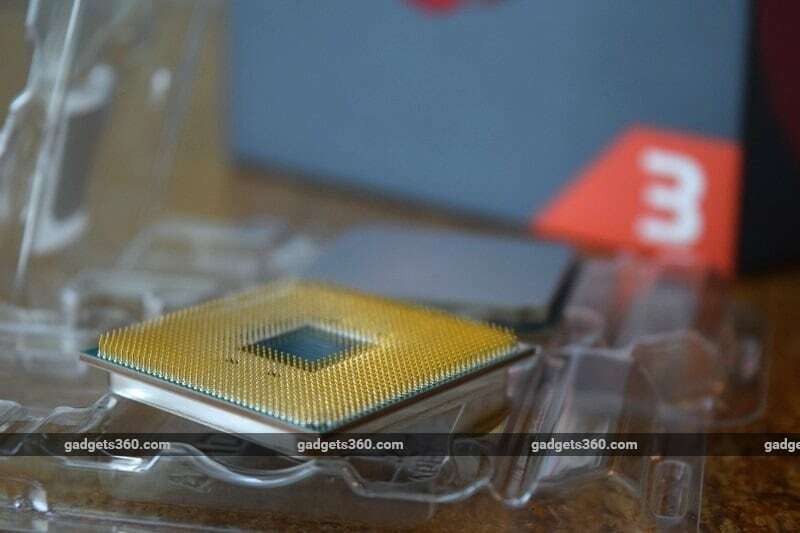 We now know that Intel will move away from dual-core models with its upcoming 8th Generation, but AMD did have a compelling advantage at launch. The Ryzen 3 1300X runs between 3.5GHz and 3.7GHz, though the X in its name signifies support for XFR, or eXtended Frequency Range. There's an additional 200MHz of headroom within which the chip can push itself if it determines that the thermal solution you're using can handle it. On the other hand, the Ryzen 3 1200 runs between 3.1 and 3.4GHz - XFR is still supported, but with a far less generous 50MHz ceiling. AMD uses the same 14nm manufacturing process across all Ryzen families, and one of the major attractions is unlocked multipliers across the board, so overclocking isn't restricted to expensive models. Both Ryzen 3 chips have 8MB of L3 cache memory and both have a 65W TDP rating. Both also ship with AMD's Wraith Stealth cooler, which is pretty small and unobtrusive. It also doesn't have the LED ring that its bigger siblings, the Wraith Spire and Wraith Max do. AMD doesn't restrict overclocking support to its top-end motherboard chipset, so you can use either the X370 or B350 with the Ryzen 3 1300X. If overclocking doesn't appeal to you, there are even less expensive A320 boards which will work just fine. However, there is the inescapable fact that you need a graphics card. That means spending at least Rs. 3,000 more just to be able to use your new PC, and at least Rs. 6,500 to run games at their most basic settings. We tested both our Ryzen 3 samples using the same setup as the Ryzen 7 1800X and Ryzen 5 1600X, with the sole exception that we started with AMD's bundled coolers this time. 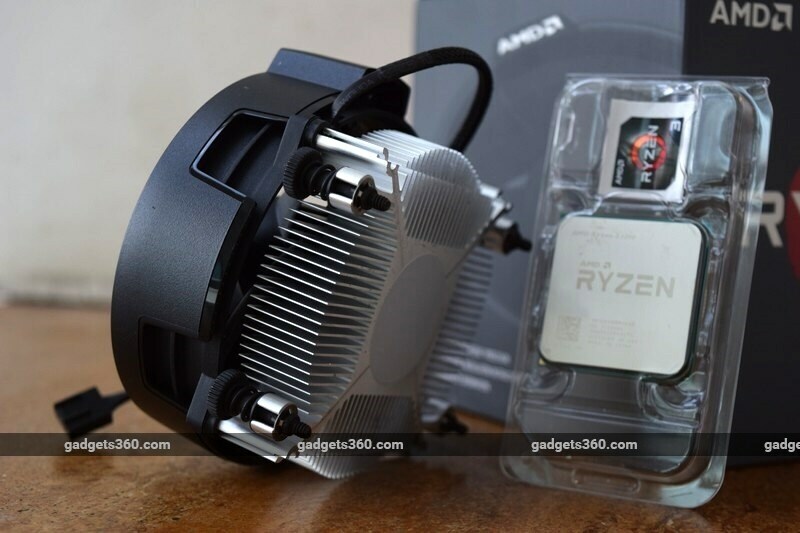 The higher-end ones don't come with stock coolers in anticipation that you'll want a much bigger one for heavy overclocking, and we wonder why the Ryzen 3 1300X doesn't get the same treatment. Setup and installation was no problem - like all stock coolers, this one has a small patch of thermal paste pre-applied, so all you need to do is press it down and tighten four screws. We started with the Ryzen 3 1200 and ran through all our usual benchmarks and real-world tests, covering a range of usage scenarios. We then swapped in the Ryzen 3 1300X and repeated all tests. It's easy to see how both CPUs stack up against one another, and how they fit into the overall Ryzen lineup with their beefier siblings. Performance is proportionate to cost and you can see the differences that both clock speed and core count make. In workloads such as gaming, there isn't much difference between CPUs as scaling is bound by the GPU beyond a point. However, when it comes to content creation such as our Cinebench R15 rendering test or H.265 video transcoding, it's easy to see how spending more money can improve the speed at which work gets done. Both Ryzen 3 models seem like strong entry-level desktop CPUs. You can run processor-intensive tasks such as video encoding and they will get done, but the tradeoff is time. We also have to note that the Wraith Stealth cooler was completely silent throughout, true to its name. To cap things off, we experimented with overclocking the Ryzen 3 1300X, using the one-click functionality built right into MSI's UEFI firmware. The most conservative step took us up from 3.5GHz to 4.0Ghz, and while Windows booted just fine, our test bench crashed the moment we tried running any test. We therefore swapped out the stock cooler with our much larger Noctua NH-U12S SE-AM4. Tests then ran perfectly well, which goes to show that the Wraith Stealth cooler simply cannot handle overclocking. We were in fact able to boot up at 4.15GHz, but all tests only ran stably at 4.05GHz. At this speed, our Cinebench R15 single-threaded and multi-threaded scores rose to 156 and 524 respectively, and POVRay took 2 minutes, 49 seconds. At 4.1GHz, Cinebench gave us 158 and 617 points respectively, but POVRay caused a system crash. Overclocking results show that while you can play around with the Ryzen 3 1300X for fun, there's little benefit in doing so. The amount you spend on a capable cooler could just as well be put towards buying a more powerful Ryzen 5 CPU instead. AMD has been most relevant in the budget market for the past several years. This is where it retreated to when it couldn't keep up with Intel's advances, and it actually did fairly well by cutting prices and repositioning its formerly-high-end products. AMD also has plenty of loyalists - though an undeserved reputation for running hot still persists from the days of the original Athlons, scaring away potential new customers as well. This is important to note because AMD is relying on sales of boxed CPUs to DIY builders and system integrators right now. The Ryzen 3 family doesn't necessarily target gamers or enthusiasts, but there's no shortage of such buyers hunting for bargains. If you are on a tight budget or don't think your workload would benefit from having more cores or threads, either of these CPUs would be a suitable option. However, the big question is whether having two more physical cores compared to Core i3 CPUs is worth losing integrated graphics capabilities - and it won't be long before Intel begins selling 8th Gen Core i3 models that do not require this tradeoff at all. Ryzen 3 therefore seems to make the most sense for people who are going to be buying a graphics card anyway - which narrows its audience to budget gamers, enthusiasts, and content creators. These CPUs exist so that you can tilt your budget more towards the GPU than the CPU - and that does make sense for people with these needs. When it comes to choosing between these two, it makes more sense to pick up the Ryzen 3 1300X because there's very little difference in cost, but you don't lose too much if you can only afford the Ryzen 3 1200. On the other hand if you're looking to build a super-affordable entry-level desktop for basic office productivity or general home use, and don't expect to run anything more intense than the occasional video chat, Core i3 is still probably the way to go. Come on AMD, it's high time to release the Ryzen-based APUs with integrated Vega graphics that were promised for this year. product AMD has had a great run so far this year with its Ryzen 7 and Ryzen 5 products easily keeping up with or defeating Intel. Now, it's time to review the budget Ryzen 3 series.